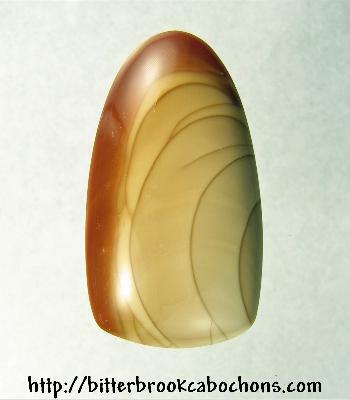 Here's a comely Bruneau Jasper cabochon freeform-cut into a "tongue" shape. Nice patterns and a super shine. 40mm x 22mm x 7mm. Weight: 50.90 carats.